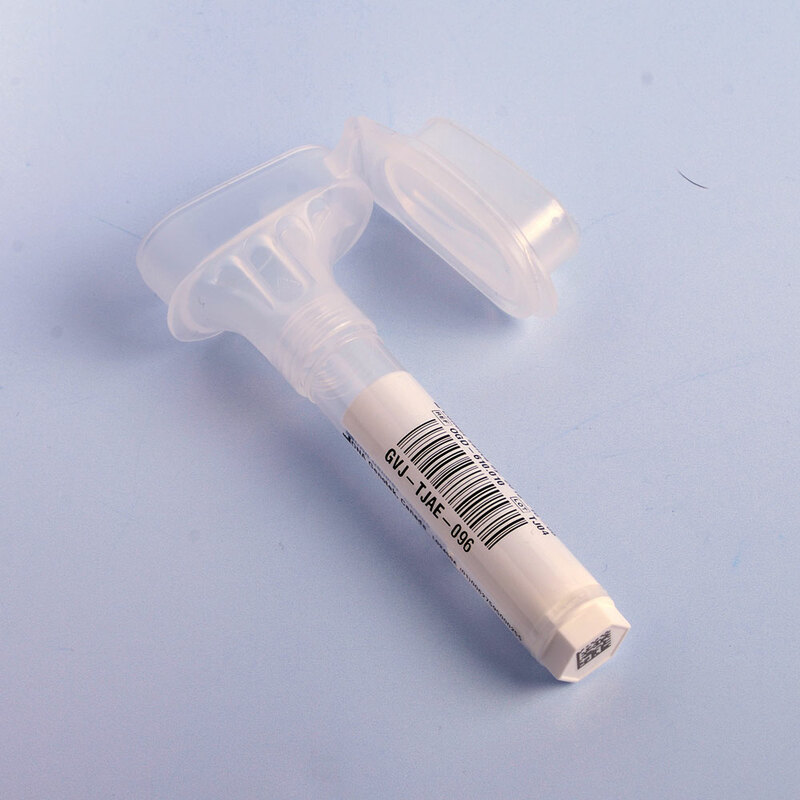 Barcodes are increasingly being used in laboratories for sample tracking and management, enabling laboratories to automate their processes to increase workflow efficiencies whilst also reducing occurrence of human error. 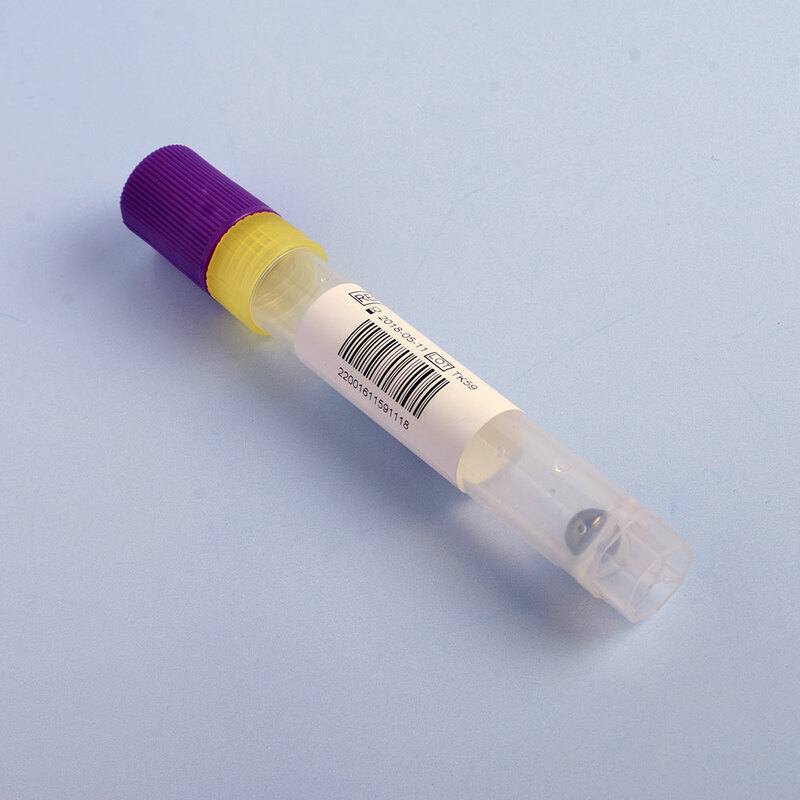 DNA Genotek recognizes the importance of simplifying the tracking of samples and linking samples with consent and/or survey forms through to sample processing and long term storage. 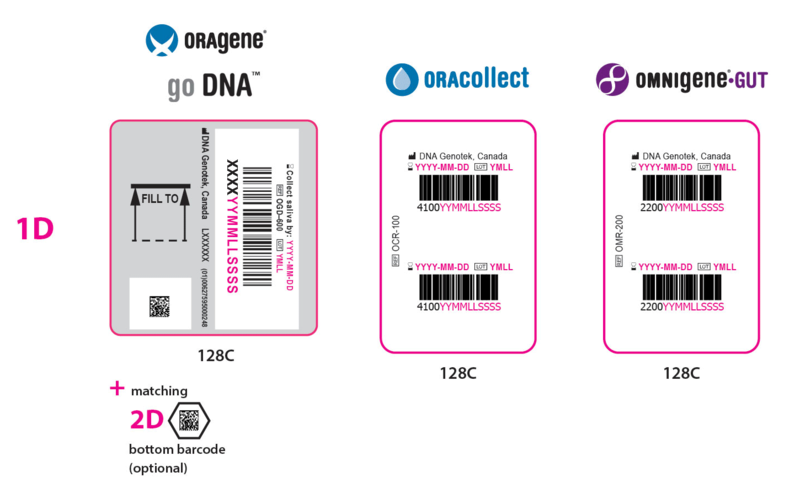 To assist you with your sample management needs, DNA Genotek offers barcode options on Oragene, ORAcollect and OMNIgene collection products. 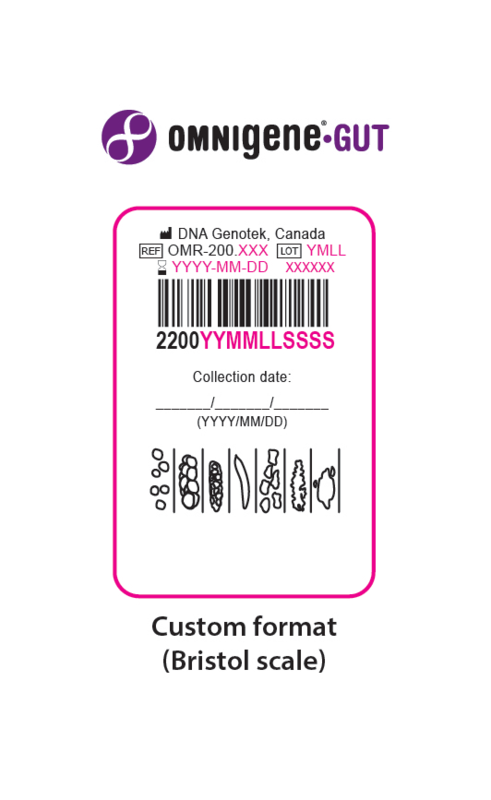 DNA Genotek's standard format is a unique 1D linear (128C numeric format) consisting of 14 digits with matching human readable barcode. 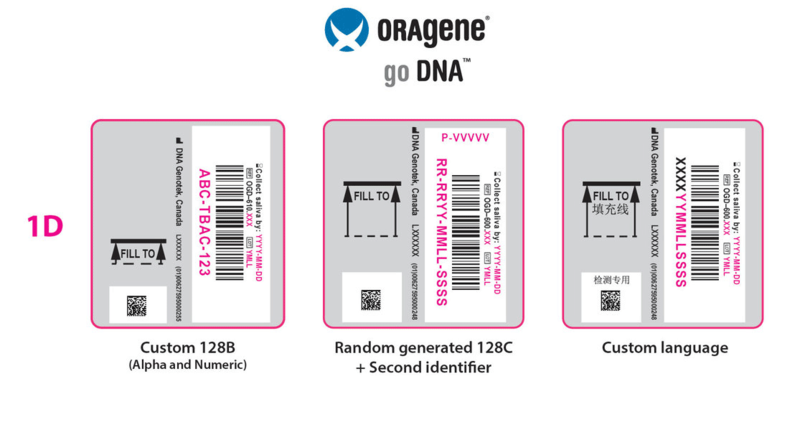 The Oragene 600 series has an additional option of a 2D barcode on the bottom of the tube for the most complex automated workflows. Alternative barcoding options (eg. 128B (alpha and numeric), random generated, second identifier, etc.) 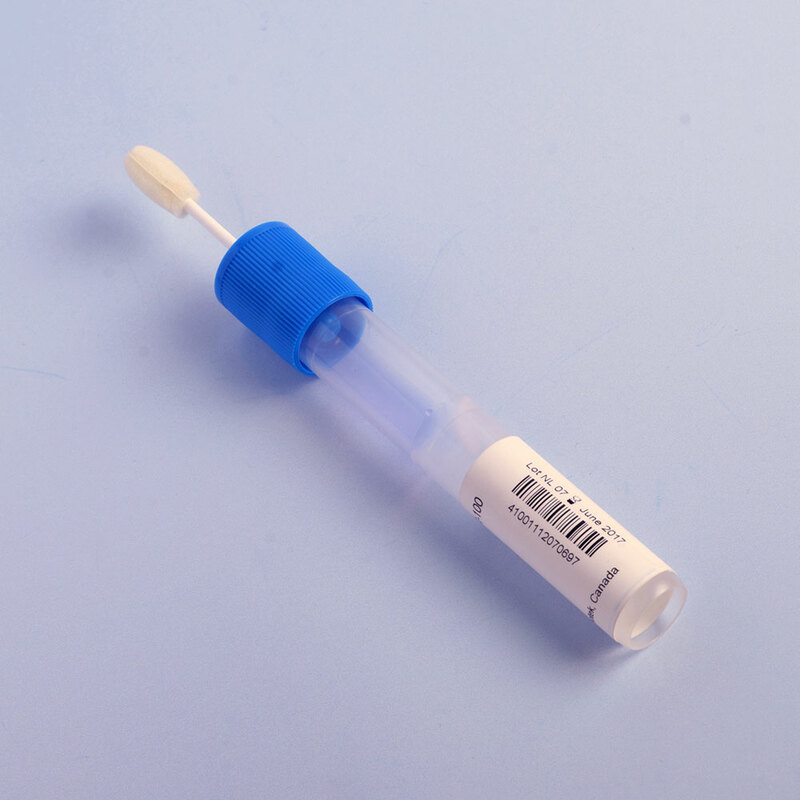 are available to provide you maximum flexibility for your sample management. 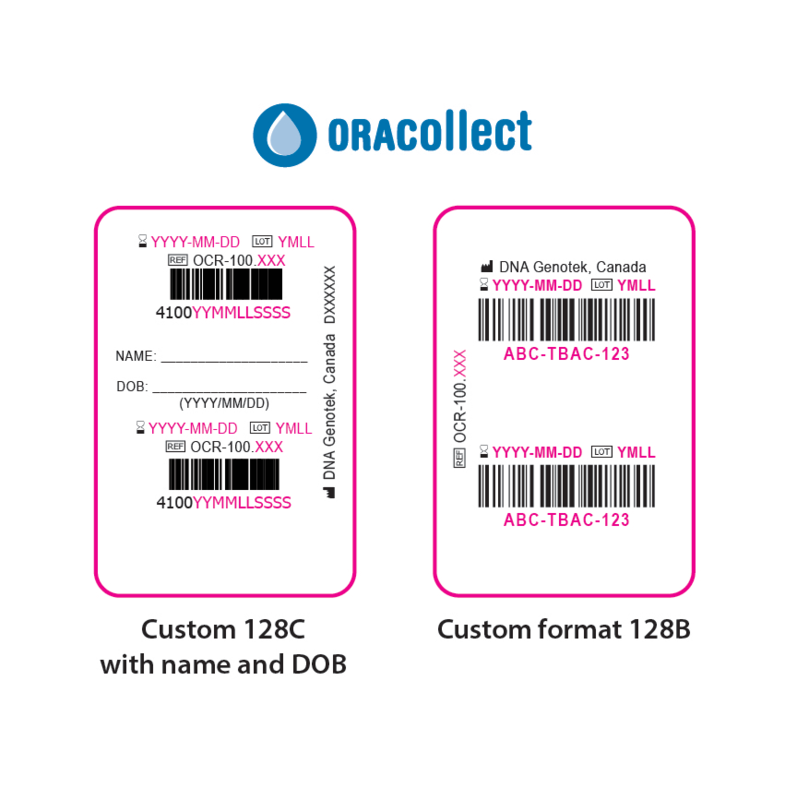 Finally, barcode data-files can be provided to assist with inventory management and sample handling. Additional labels can be provided for paperwork that matches to barcode on the device tube. Have a unique barcode requirement? We can help. Email us at info@dnagenotek.com. For information on customizations, please see our customization options.